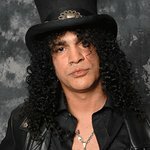 Slash has recruited some of his celebrity friends – such as Maroon 5's Adam Levine – to help him release a special video and song to help raise awareness for the plight of homeless youth in Los Angeles. Shot in downtown LA, the star-studded cast for “Gotten” features Slash as himself, as well as Amanda “AJ” Milchalka (“Hellcats,” Super 8), Kristin Bauer (“True Blood”), Clifton Collins Jr. (Traffic, Capote), Jacob Vargas (Next Friday, Traffic), Sevier Crespo (Fast Lane) and Judd Nelson (The Breakfast Club), among others. Fans can make a donation to the Los Angeles Youth Network (LAYN) by downloading the song here.